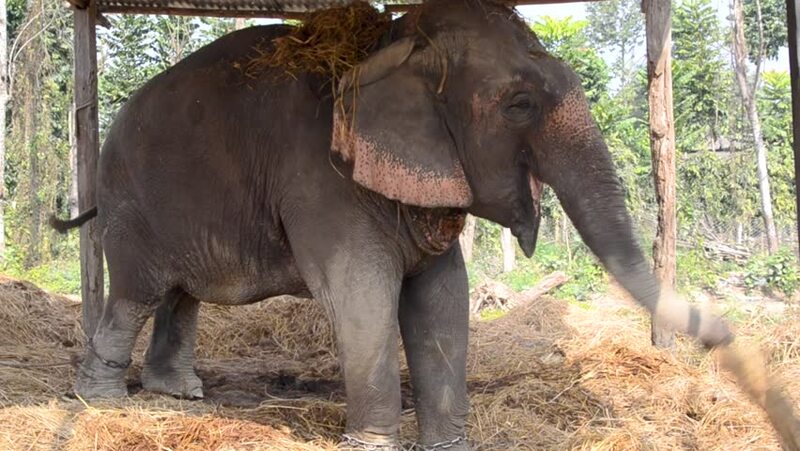 hd00:10Elephant enclosed in chains noddle. hd00:10Young elephant is enjoy playing dirt in the jungle. hd00:13Baby elephant trying to use his trunk. 4k00:23Elephant eating leaves in a forest Chiang Mai, Thailand. Elephant eating leaves in jungle. hd00:20A hippo sleeps down next to a bird.